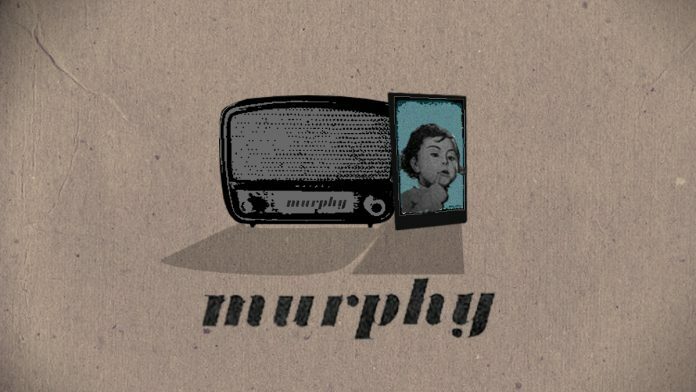 Murphy Radio and its ‘magic eye’ redefined the radio era for Indians. A wooden box, a short, straight antenna on the top left and a picture of a chubby toddler with her finger placed near her lips with a quizzical smile – this is what Indian radio memories are made of. 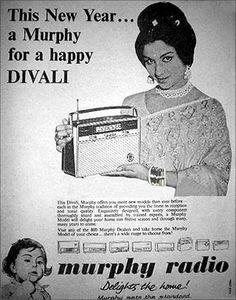 And the brand was Murphy Radio, one of the earliest radio brands in Indian homes. Murphy was known for the radio as much as for the child in India. In the 1960s-70s, Indians who had radio sets in their homes often boasted about it. A Murphy Radio set usually occupied pride of place in their homes, especially in their drawing rooms. It would be kept at a higher plane away from children’s reach. Many Indians would actually stitch an embroidered cloth cover for it. Families would play the popular radio programmes on high volume, attracting radio-less neighbours to stand outside and listen. Murphy’s famous advertising tagline was sung by Mohammad Rafi: “Murphy ghar ghar ki rounak, tarah tarah ke Murphy radio, la deten hain ghar mein jaan”. Murphy’s biggest competitors were Philips and National Ekco radios in India. In fact, National Ekco had copied Murphy Radio’s original feature, the magic eye – where two curtains would merge when the frequency reception was sharpest. Young Indians would spend time DXing their shortwave radios to find far-flung foreign radio stations. It became a hobby to write to these stations, and receive stickers, postcards, pens and calendars and other promotional material in return. The brand entered India around 1948, and was synonymous with the healthy and bonny baby featured in its ads. It is by far one of the most iconic product logos of the 20th century. One of the most popular compliments given to beautiful, healthy children was calling them a “Murphy baby”. Calendars and posters with the child’s face were frequently hung in gynaecologist clinics, maternity homes, and barber shops. “At our time, most of the pregnant mothers would either wish for a Murphy baby or a Glaxo baby,” Chawla recalled. From time to time, there were rumours that the original Murphy baby had died. And older Indians would say ‘nazar lag gayi sab ki’. In 2012, the ‘Murphy baby’ phenomenon made a comeback and gained wide attention in the movie Barfi!. It used the terms ‘Murphy Radio’ and ‘Murphy Munna’ in the title song to suggest that the hero’s mother desired to have a child like the ‘Murphy baby’. In fact, Ranbir Kapoor’s name in the film — Barfi — is inspired by Murphy. A vintage Murphy Radio print ad from 1966 featured a coy Sharmila Tagore urging people to buy a transistor model for ‘Divali’. “Murphy sets the standard” the ad read. Later, Murphy TV was also launched in India. The child’s face appeared again. The brand of home radios was founded in 1929 in England by Frank Murphy and E.J. Power. The original radio company played a crucial role during World War II, making radio sets for British Armed Forces to use. “Your wireless set should not be a gadget on which only father can work. It should be something which can be used and enjoyed by everybody in the family. That is why I make it my business to see that all Murphy sets are extremely simple to use, cheap to maintain and always reliable,” Frank Murphy said in an advertisement for the 1931 edition of magazine Modern Home. Murphy was the first British radio to be fitted with automatic tuning correction with station names on the tuning scale. Frank Murphy left his own company in 1937 leaving E.J. Power in charge and found another company called FM Radio – Frank Murphy Radio. While brand Murphy still survives in India, it no more sells radios. Now, it exclusively belongs to Mumbai-based Shirodkar Group of Companies. “We are not dealing with Murphy Radios anymore in India,” said the company’s customer executive on a Facebook chat. However, the company sells Murphy home theatres, DVD players and televisions. “We are soon planning to launch attractive, tastefully designed all new range of home appliances like electric irons, mixer grinders, kettles, toasters, grills, and other similar products…” says the website flaunting the iconic toddler still. For collectors and connoisseurs, the vintage radio is still available on e-commerce sites like Amazon for Rs 35,000, which is six times the cost of the latest radios like Philips and Saregama Carvaan. Says something about Murphy Radio.